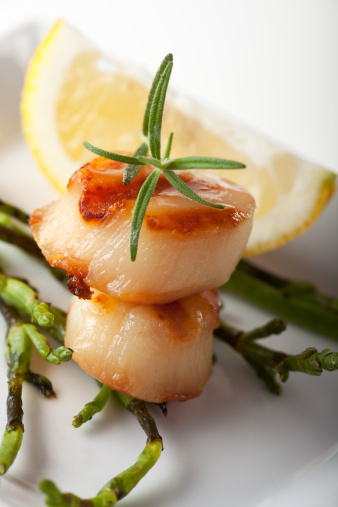 Scallops with lemon and sage is a foodie favorite, but you don't have to be a connoisseur to make this easy recipe! Made with healthier ingredients this dish is not only good for you but also downright delicious! Mix black pepper and sage together in a small bowl. Dry coat the scallops in the black pepper and sage mixture. On a low to medium heat, warm the olive oil in a pan. Add the scallops to the pan and allow to cook for approximately 3 minutes. Add the lemon juice, green onion, and garlic to the pan and cook for another 2 minutes. Serve warm.